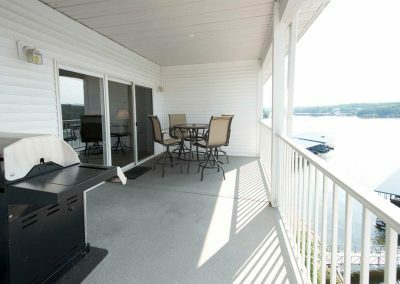 Enjoy beautiful sunrises and sunsets from the balcony. 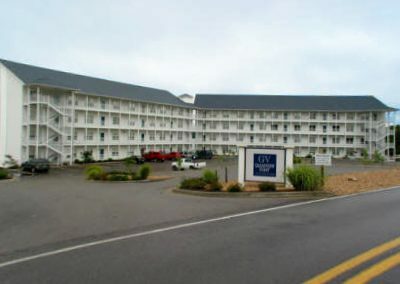 Our condo is located at Mile Marker 19. 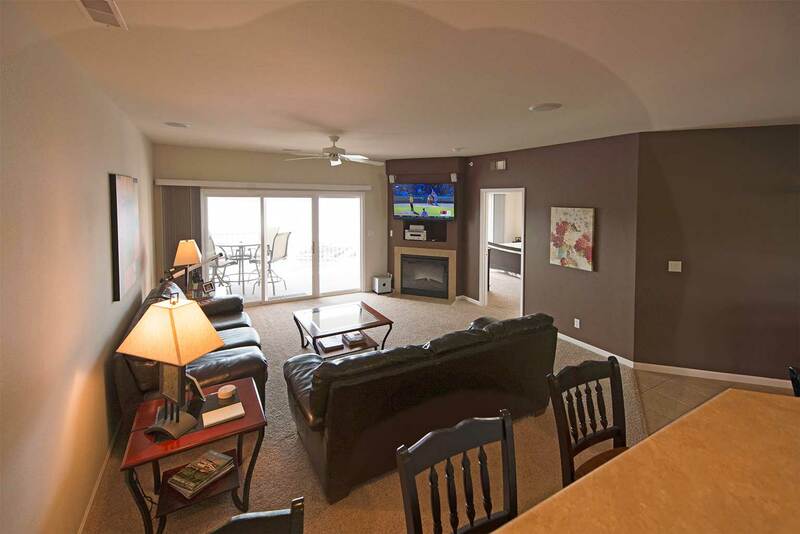 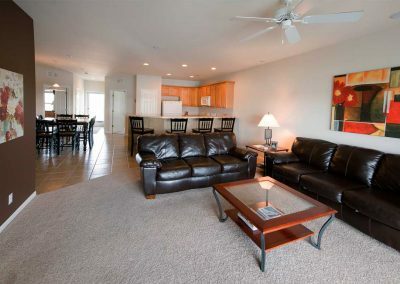 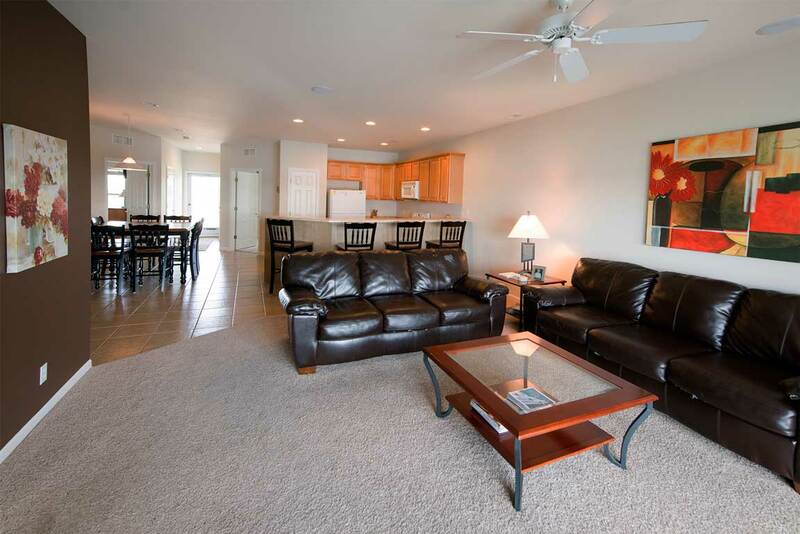 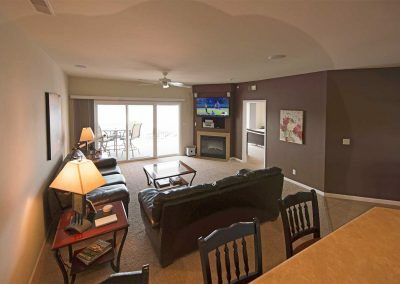 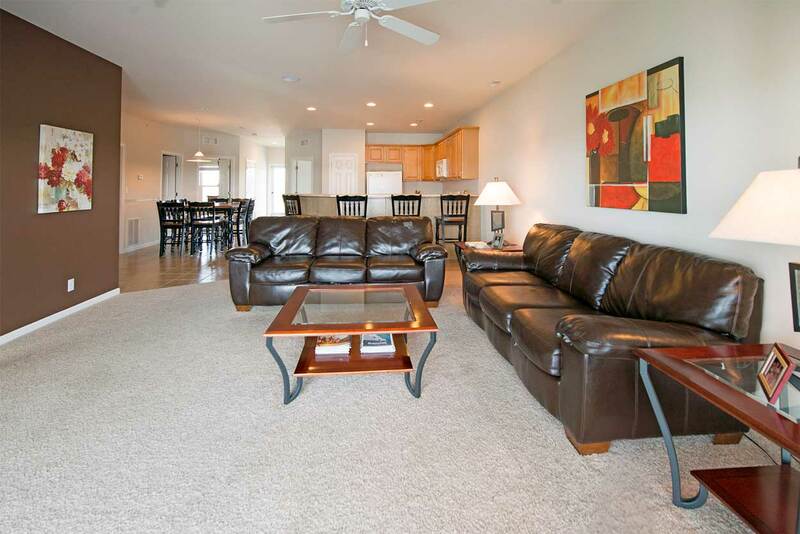 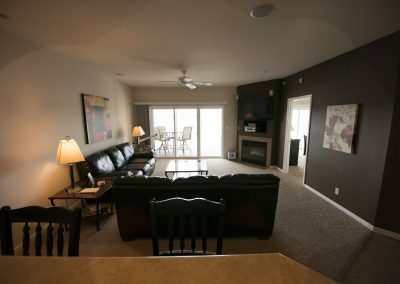 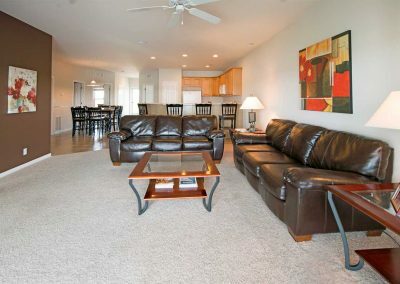 The living room features a fireplace, 50″ LCD TV and gorgeous views. Watch as the boats pass by on the lake. 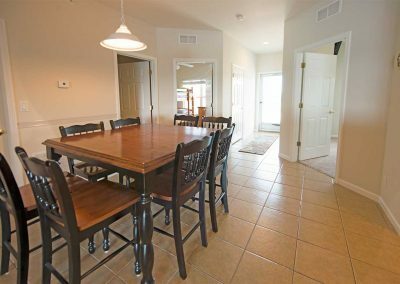 The living, dining and kitchen area are all open to each other. 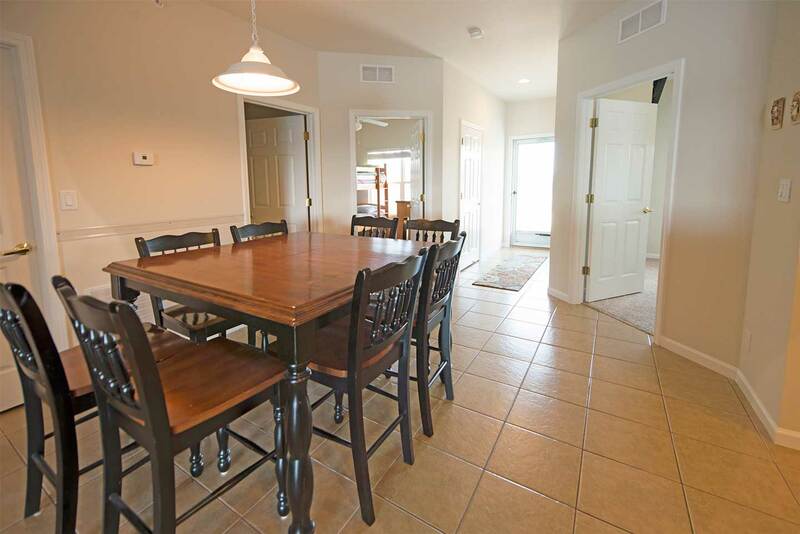 The dining area seats eight, with additional seating at the counter top in the kitchen. 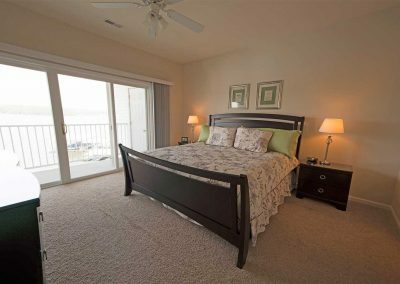 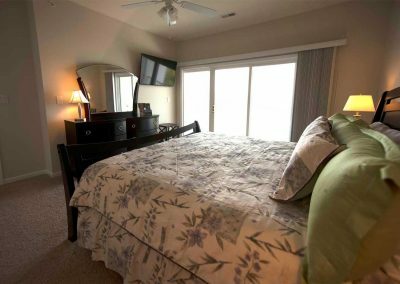 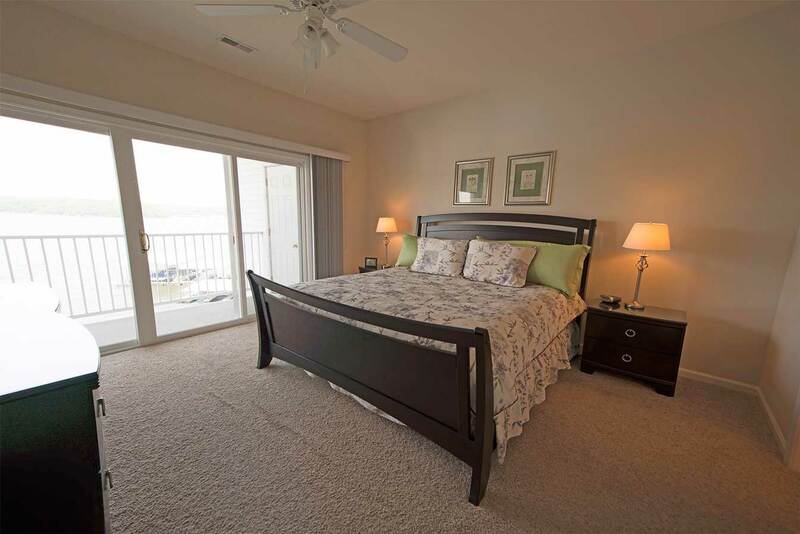 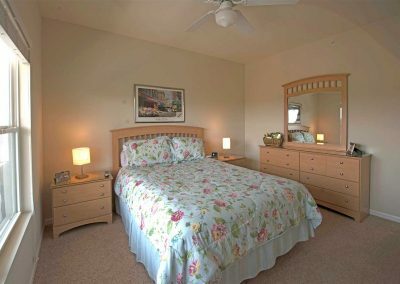 The master bedroom has a view of the lake and its own private bathroom. 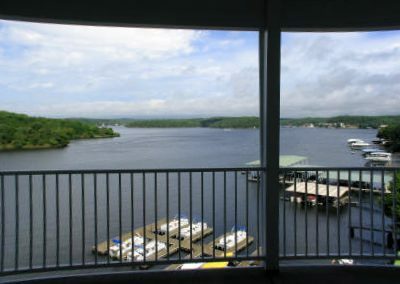 Walk out the sliding doors to the balcony for beautiful lake views. 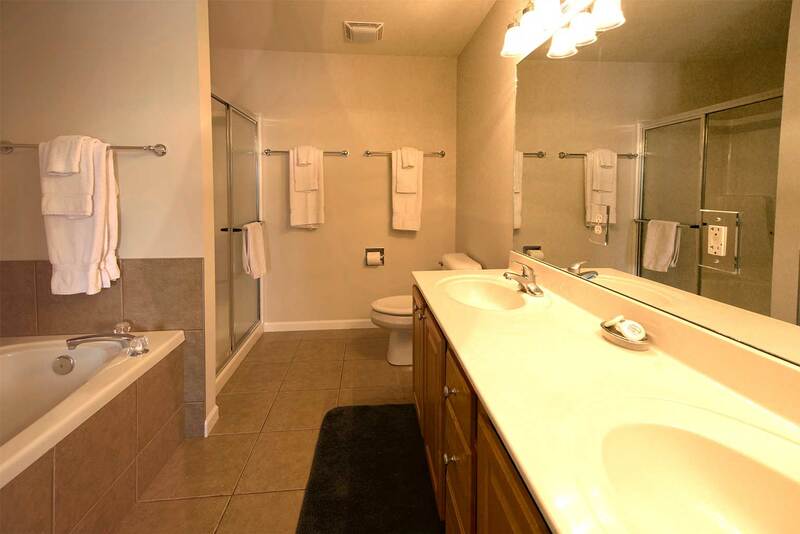 The master bathroom has a jacuzzi tub, separate shower and a double vanity. 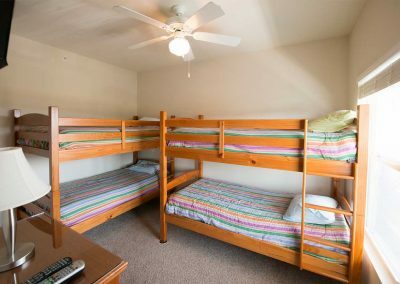 The second bedroom has a queen size bed and large closet. 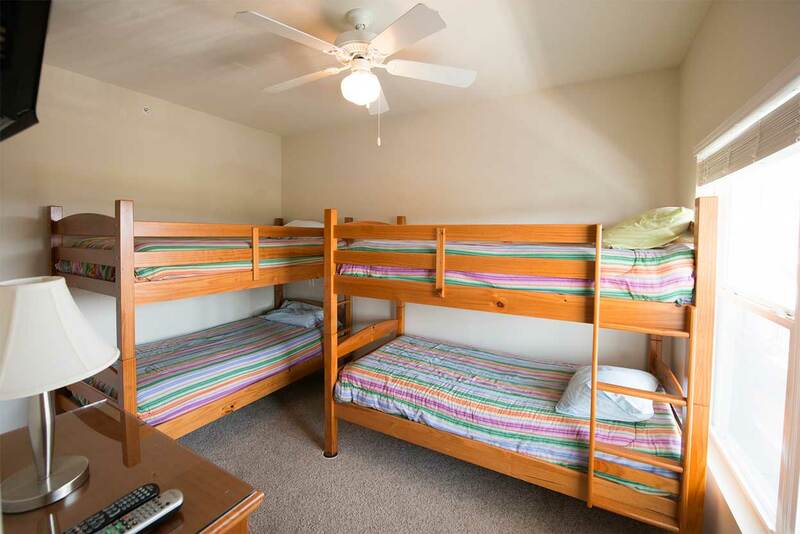 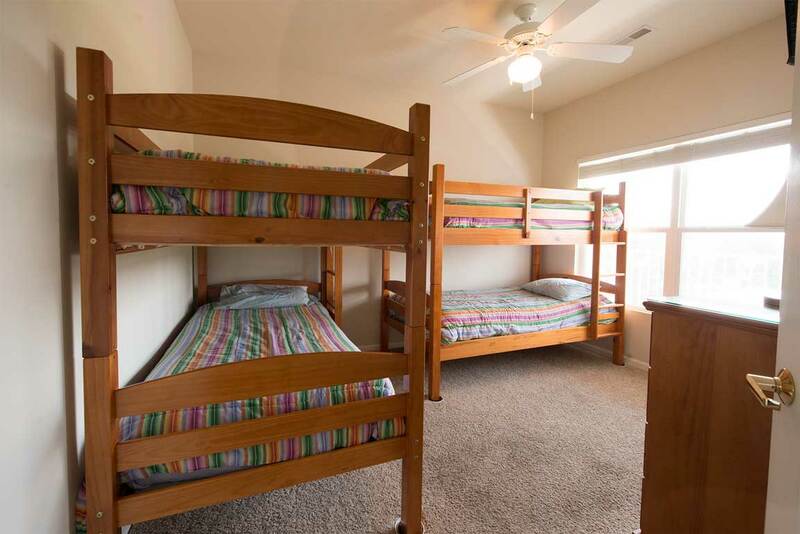 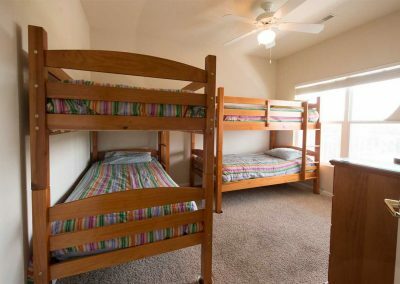 The third bedroom has two bunk beds to accommodate four people. 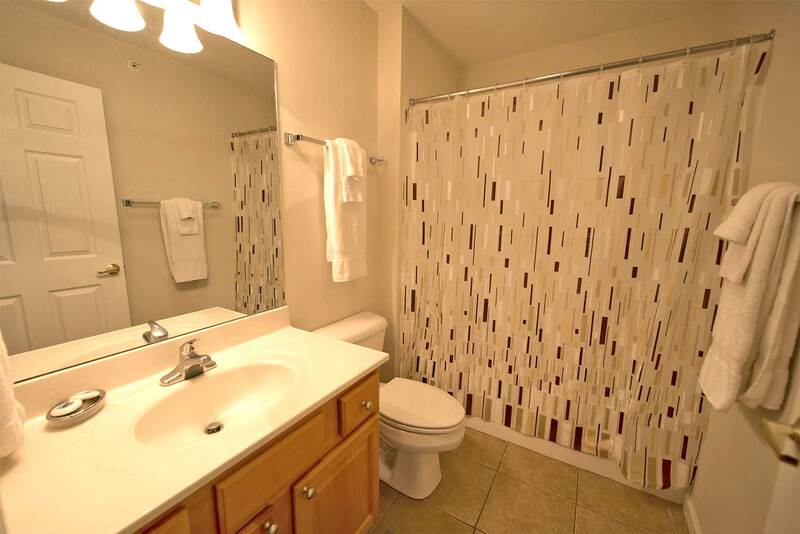 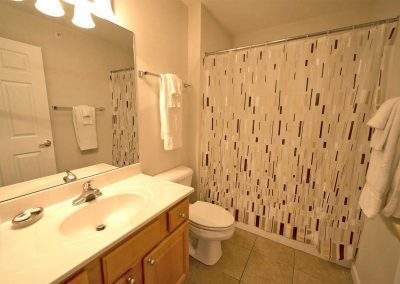 The second and third bedrooms share this bathroom with a shower/tub combination. 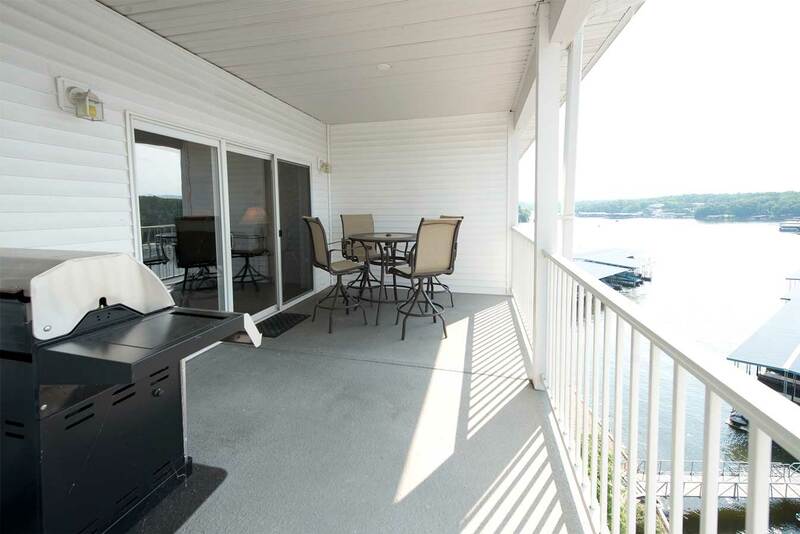 Spend time relaxing on the balcony with table and chairs and a BBQ grill. 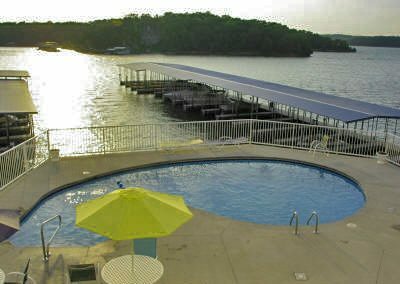 The pool overlooks the Lake and has spacious decking. 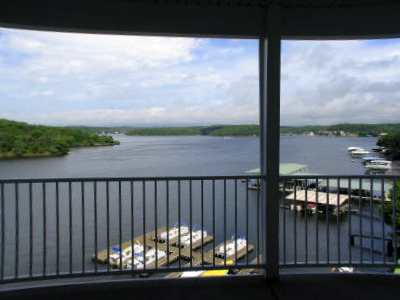 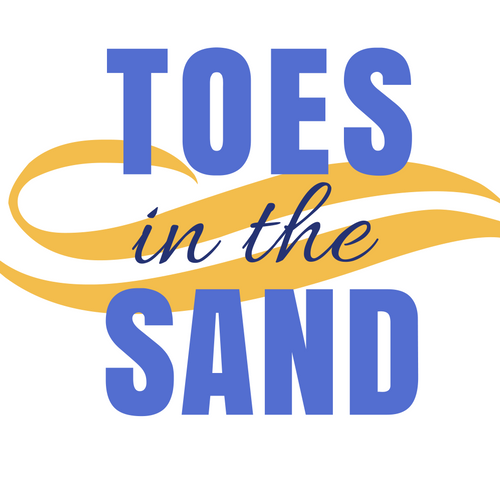 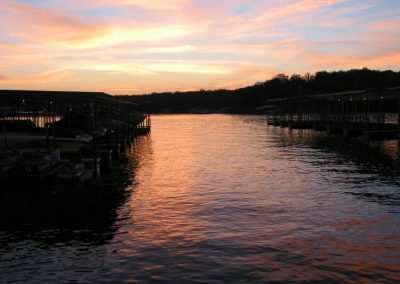 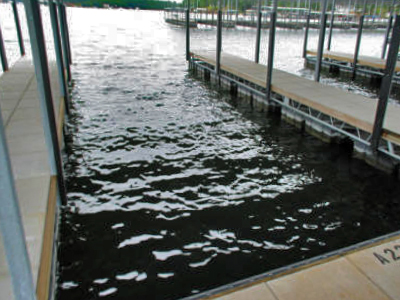 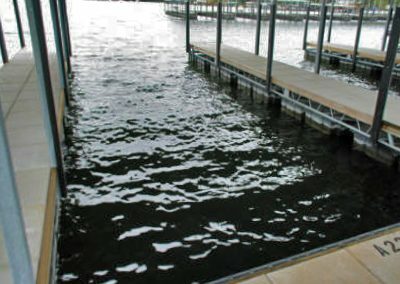 Guests can rent a boat slip for an additional fee. 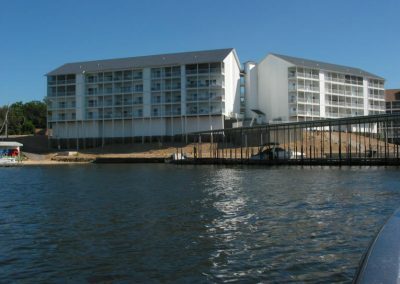 View of the condominium from the entrance. 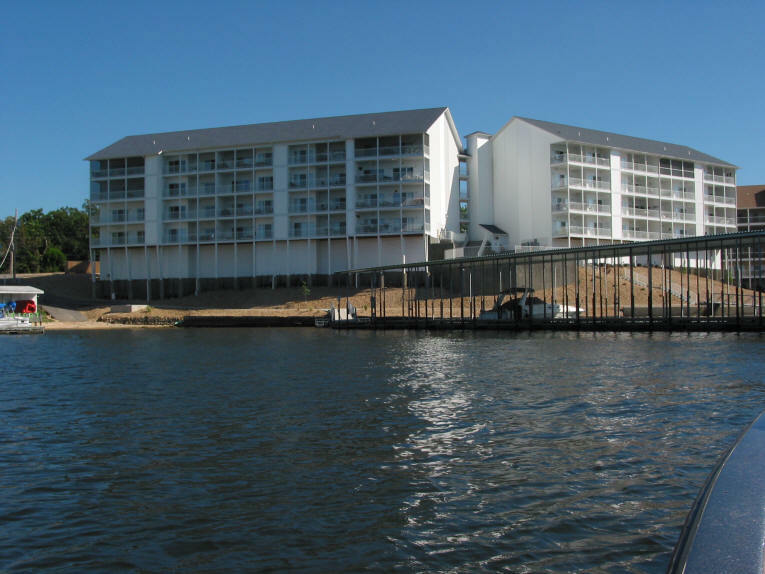 View of the condo from the water. 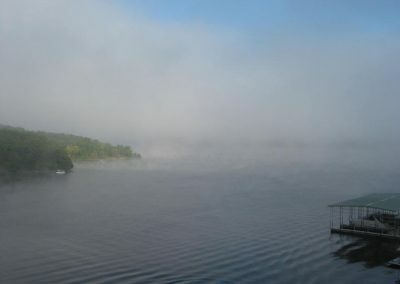 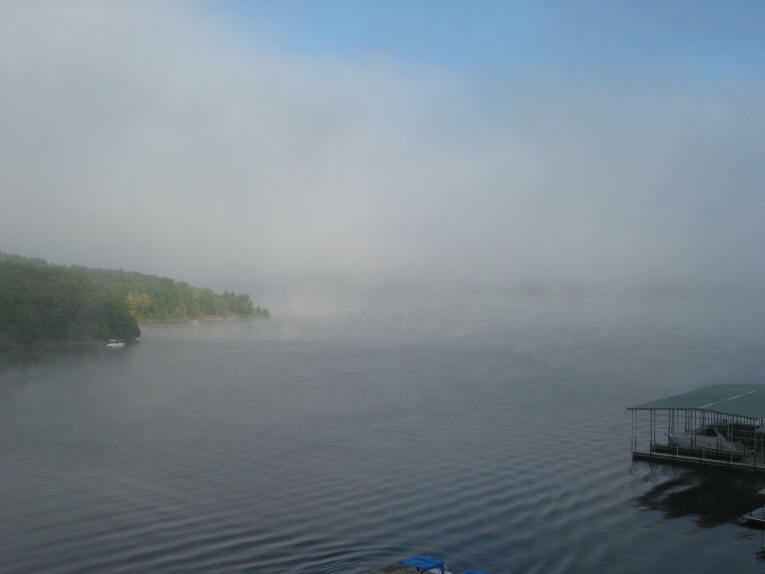 A fog rolls in over the lake in early morning.